MLADA BOLESLAV, The Czech Republic (Reuters) - Volkswagen's Czech unit Skoda Auto does not expect to repeat the strong wage growth agreed in 2018 again in the latest round of collective bargaining, a board member said on Wednesday. 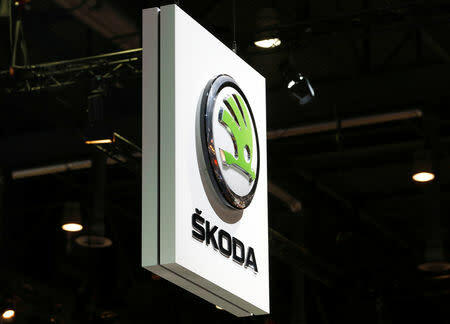 "The current situation in the automotive industry as well as the pressure regarding costs and investments are primarily the result of legal changes and regulatory measures," Bohdan Wojnar, who is responsible for Skoda's human resources, said at its annual results news conference. "Against this backdrop it is clear that we cannot allow results similar to that of 2018 in this year's collective bargaining."